Singapore’s first South East Asian Games men’s marathon gold medallist Mok Ying Ren has been ruled out of the 2015 event due to a shin injury that has stopped him from being able to train and compete at a high level for the past few months. The 26-year-old won the 2013 competition with a time of 2:28:36 while Myanmar’s Thaung Aye and Filipino Eric Panique won the silver and bronze respectively. Mok, a two-time SEA Games gold medallist (2007 – Triathlon, 2013 – Marathon) has taken the doctor’s advice to continue his recuperation. He announced, “It is with a heavy heart that I am announcing my absence from the 2015 SEA Games after discussion with my Coach Lee Troop. President of Singapore Athletic Association, Mr Tang Weng Fei gave tribute to Mok for his outstanding achievements and is confident of a strong come-back from the SEA Games defending champion. 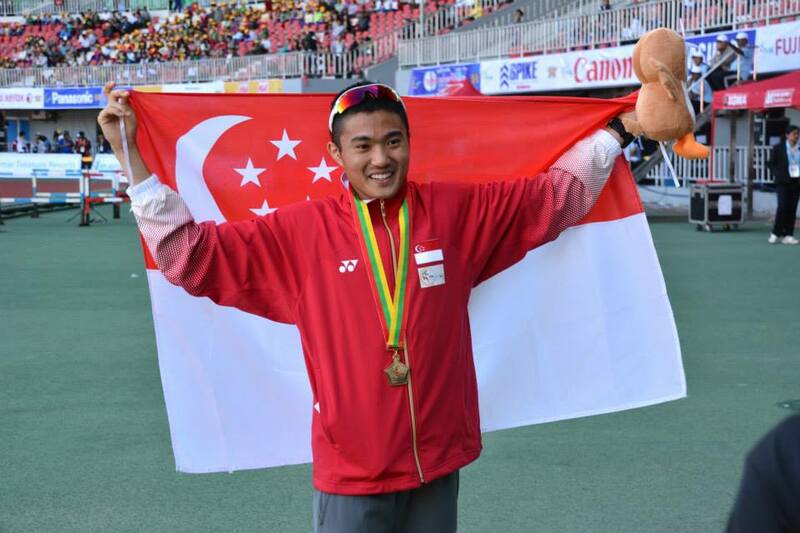 “Mok is a professional athlete who has brought a lot of joy to Singapore whenever he competes. It is unfortunate that he will have to sit out the upcoming SEA Games but we have athletes like Rui Yong, Ashley and even Derek Li and Lim Thow Wee (who are running in this weekend’s Seoul Marathon) who are capable of doing Singapore proud in the marathon event.” said Mr. Tang. Speaking about his competitor and friend’s absence from the SEA Games, Soh Rui Yong said: “The news comes as a big disappointment for me. Growing up, Mok was my senior in Raffles Institution by 3 years, and I always looked up to him as a source of inspiration. Singapore’s men’s marathon contingent will be hoping to do Singapore proud and rewrite the Games record of 2:20:27 set by Indonesia’s Eduardus Nabunome back in 1997.